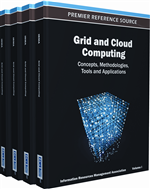 This chapter focuses on presenting and describing an approach that allows the mapping of workflow processes to Grid provided services by not only taking into account the quality of service (QoS) parameters of the Grid services but also the potential business relationships of the service providers that may affect the aforementioned QoS parameters. This approach is an integral part of the QoS provisioning, since this is the only way to estimate, calculate, and conclude to the mapping of workflows and the selection of the available service types and instances in order to deliver an overall quality of service across a federation of providers. The added value of this approach lays on the fact that business relationships of the service providers are also taken into account during the mapping process. Managing the application workflow operations within Grid environments requires the orchestration of the distributed resources (E. Deelman, 2003). In that frame, workflow is an important factor for application composition on Grids (E. Deelman, 2004) promoting inter-organizational collaborations by integrating the teams involved in managing of different parts of a workflow. Besides, literature (E. Deelman, 2004) describes additional advantages of the workflow management such as the utilization of resources to increase throughput or reduce execution costs and the ability to build dynamic applications which orchestrate these resources.